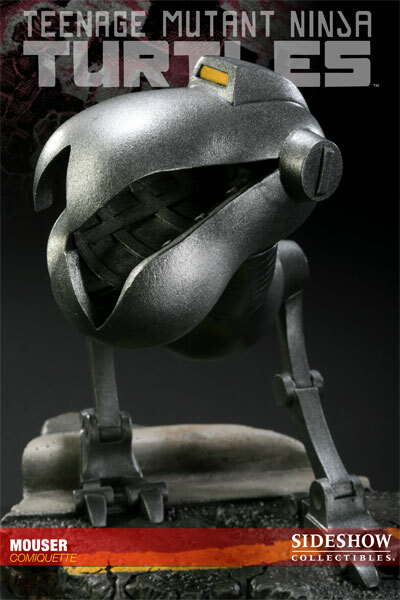 The time is nearly here to pre-order the San Diego Comic-Con exclusive Mouser comiquette from Sideshow Collectibles! For convention attendees, the pre-order event is on THURSDAY at 10am Pacific time - SHARP! For non-attendees, the pre-order event is on FRIDAY at 10am Pacific time. Because this is a Priority Pre-Order event, which is different from the previous TMNT pre-orders, to be able to participate in the pre-order you need to already be subscribed to the Sideshow weekly newsletter. Login to the main Sideshow site at sideshowtoy.com at 10am Pacific and click on the Mouser banner to go through the ordering process. If that sounds complicated, it's not. It's actually super easy and you should be in and out within a few minutes. But this is one thing you definitely need to be on time for! Good luck to anyone wanting to add a Mouser to their collection! If Sideshow's Leonardo comiquette is on your wishlist, time to get those orders in! Like Don and Mike, the exclusive version of Leo will feature an interchangeable blue or red mask. The regular edition only includes the red mask. Click below to the left for the exclusive, or to the right for the regular. 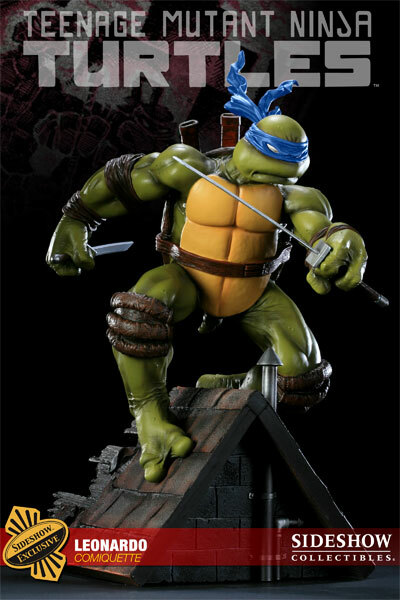 Sideshow Collectibles has released the full gallery for their upcoming Leonardo Comiquette, which will go up for pre-order Thursday June 3 with the release of their weekly newsletter. The release of the full picture gallery has caused fans and collectors to emit a collective, "Hmmm," as this statue is quite obviously different in style from the other three. 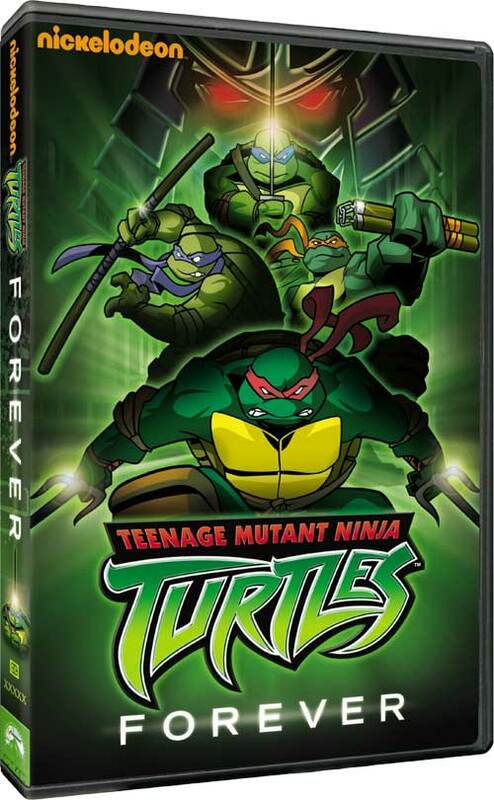 The most obvious detail that stands out is Leonardo's lack of visible teeth and how the shape of the mouth actually makes it look like he actually has no teeth. With closer inspections, other details stand out that make Leo the "One of these things is not like the other" in the set of four Turtles. The plastron seems especially bubbly/cartoony, the fingers and toes seem to be webbed, and Leo has developed some sort of skin disease, seeing how he has warts. The warts bit is actually what bothers me the most, as it is evidence that the sculptor really wasn't all that aware of the source material he/she was sculpting, and no one along the chain of approvals knew any more to be able to say anything of it. ETA: Going through the other galleries I did find some signs of warts on the other Turtles; I guess they just stood out more in the Leo pictures. Most disturbing, however, are reports that Sideshow is deleting negative comments about the comiquette on their website. One would hope that a company would use comment moderation to keep their site free on inflammatory comments, and not constructive criticism. I suppose I'll go ahead and pre-order on Thursday, but I think it's very possible that I cancel the order before it ships. This just sits that bad with me. Hmmm, indeed.